‘Eurgh’. That’s the only normal, human response to Sudden Strike 4 on PS4, right? That’s the only way our monkey brains could ever conceive such a – quite frankly – insulting way of playing a videogame, isn’t it? Of course I’m being facetious. As a matter of fact I’ve been a devout believer of RTS games ever since my very first exposure to them two decades ago by way of Command & Conquer on PS1. And, look, I’m not saying the PC isn’t the preferred option, just like it is for FPS games (and no one ever complains about that anymore, do they?) but if you’re willing to forgive a little less accuracy, a little more bother, and a little more challenge then there’s no reason why a console can’t be a perfectly fine platform to play an RTS on. It worked just fine for Red Alert 3, and I should know: I have the platinum. But with that not-so-subtle brag out of the way, the trick to any console RTS isn’t primarily the controls. Sure, that’s a big part of it, but whether or not it will work comes down to a capable foundation. 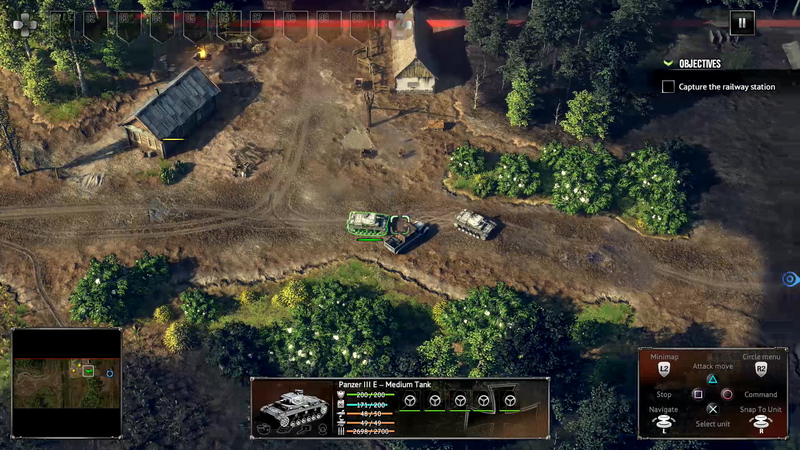 Take Red Alert 3 as an example, in fact, the buildings were grid-based and the strategy wasn’t so micro-focused – as with, say, StarCraft II – that it’s enough to build a mass of tanks and send them off to their death. But you see, that’s where I was worried with Sudden Strike 4. Having adored the series on PC back in the day, I wasn’t sure the mechanics were quite so well suited to the more finicky controls of a DualShock. Previously it was about quite precise unit management, and though its slow pace could give you the time to correct controller upsets on a console there was still a necessary precision involved. Unit positioning, for example, would need some care, while picking buildings to enter could pose a problem. But actually it all works pretty damn well. That slower pace the series had has been retained, and while that does mean your individual units are much more precious here – there’s no base-building and unit construction, for example – there’s still a deft amount that the controller can do. Little things like the D-Pad controlling the selected squadron’s level of aggression or a quick radial menu allowing to access abilities (when available) means there’s not too much hassle in actually getting stuck into the fight, which is really where console RTS games can drop the ball. And since the control scheme is an ever-present stamp on the UI, you have no excuse to fumble in the heat of battle. The neatest little feature is the pressure sensitive circle select function, however, which essentially lets you minutely control how large a circle appears that – after confirming the selection – will ‘grab’ anyone within the confines of the ring to issue commands. Movement is simple enough too, with 3D placement markers that let you specifically point a squadron in a certain direction, which is important for ambushes, counterattacks and what have you. 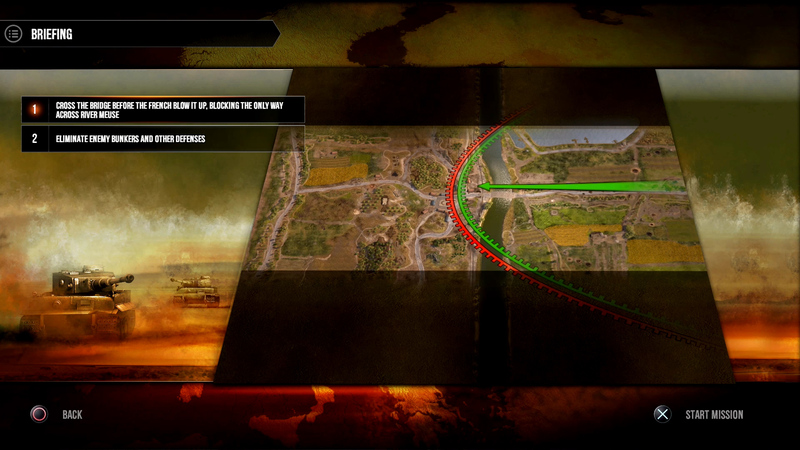 I’m sorry to have spent so much time on the control scheme, but that’s probably the key aspect of any console RTS. All you really need to know is that so long as you don’t think about how effortless it could be to play on PC, then on PS4 you’re not likely to have any real problems. 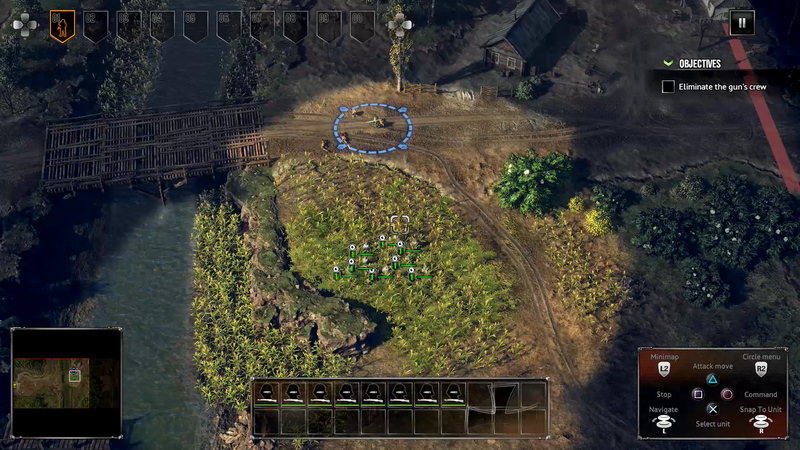 But, enough about that: the game itself is about everything you might expect from an RTS game. It doesn’t present any surprises or major innovations, it doesn’t attempt to do anything neither the series nor the genre hasn’t already done before – and it sure as hell doesn’t try to do anything new with the World War II setting. And, you know what? That’s okay. No one really expects major shifts in this genre any more (but if you do, play Homeworld: Deserts Of Kharak), and sometimes it’s enough to just be returning to a once-overused setting like this. There’s something about WWII that just works for strategy games. The various missions across three different factions all build up in the same traditional way we’ve come to expect, with new functions and units being introduced with each new stage. The challenge rises at a steady pace, too, but you’ll ultimately be doing the same things at the start as you do at the end; such is the curse of the RTS campaign. There are some interesting and well-designed moments, but for the most part you will neither find yourself wide-eyed with surprise nor eye rolling through the obvious bits. It’s RTS 101 in that regard. Even the big new feature that is being advertised has been done to death ever since WarCraft III, so even that can’t spark much excitement. While the new hero units – called Commanders, and include reputed WWII legends – do help you to play the game in a particular way thanks to their skills and abilities, they don’t impact the end result all that much. 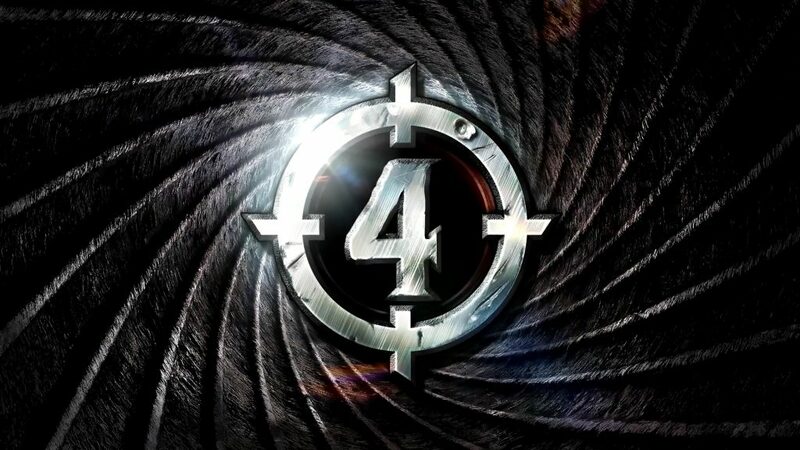 Ultimately that core element of Sudden Strike that made the series so thrilling (which is to say exposing weaknesses in the enemy and setting up ambushes) has been brought over into number four, and that alone is a solid reason to get on board. It probably sounds like I’m being a bit pessimistic about the whole thing, but I don’t mean to – it’s merely a game we’ve all seen before, and there isn’t much about it that stands out. Ultimately that’s one of the reasons the genre died a death, because it was just far too saturated and far too limited in how an RTS can play out. What you have with Sudden Strike 4 is a game reminiscent of its former self and of the glory the genre used to be. It might not do anything different, but at the same time that doesn’t stop it from appealing and absorbing those players who do still have a fondness for this particular way of playing. An unsurprising RTS in every sense of the word, but solidly entertaining and well-designed for console.